Australia may be a sunburnt country, with droughts and flooding rains , but climate change is relentlessly ramping up our nation’s inherent vulnerabilities: January 2019 was Australia’s hottest month  on record, and nine of the 10 warmest years  on record occurred after 2005. The State of the climate 2018  report, produced by the Bureau of Meteorology and the CSIRO, clearly states that Australia’s climate has warmed by just over 1°C since 1910, leading to an increasing frequency of extreme heat events. The report shows that cool-season rainfall has decreased significantly in important agricultural areas of Australia, and that stream flows in southern Australia have decreased. Page 3 of the Australian on 29 January 2019 carried no fewer than three natural disaster stories, including ‘Darling awash in more fish carcasses ’ and ‘Reprieve at last after worst floods in a century ’. 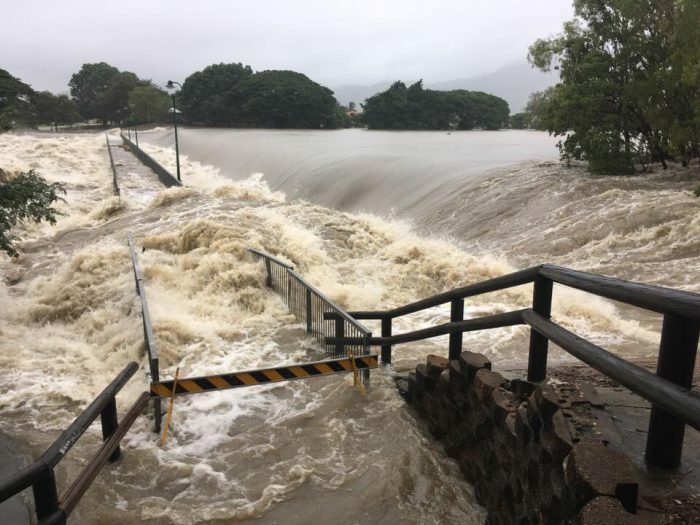 There’s still record flooding in Townsville, as bushfires continue to burn in southern Australia. While it might be impossible today to pin any one of these events on climate change, the balance of probabilities is that the fingerprints of climate change are right there, before our very eyes. None of this news of climate change leading to extreme weather events is particularly new. Significant parts of the business community have signalled the risks that climate change brings to the economy and are factoring them into critical decision-making. Climate change was a major topic  at the recent World Economic Forum meeting in Davos. Australia will never be able to respond to these changes appropriately without a clear and explicit national discussion, and policy development that is informed by good science. This science must be about Australian weather and climate and be designed to inform the entire community about the likely climate consequences for Australia  and our region. It’s time also to bring to the policy table the excellent science that we have in Australia. The environmental, economic and social future of Australia requires it. Getting our own act together will also help us to get to grips with the climate challenges faced by our regional neighbours .